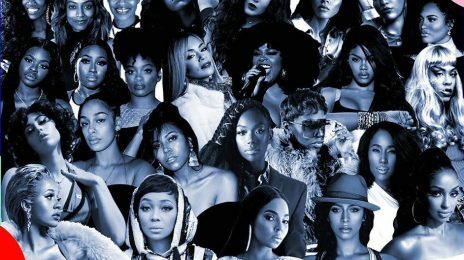 As Ashanti fans await the release of new music, the R&B star journeyed down memory lane at the 2019 Trumpet Awards. Can we get a measured push for new music, though? This woman right here is signed to her own f****** label. Why does it take so damn long to release an album!! Ashanti seriously? U don’t care about your fans at all. If you care, you would have release your album already. Girl bye!!!!! Still, she doesn’t control when it gets released. She has her own label but it’s distributed through E1 and they’re the ones who say when! All she does is finishes it, turns it in, and they’ll tell her yes or no. I looooove Ashanti. Like love. 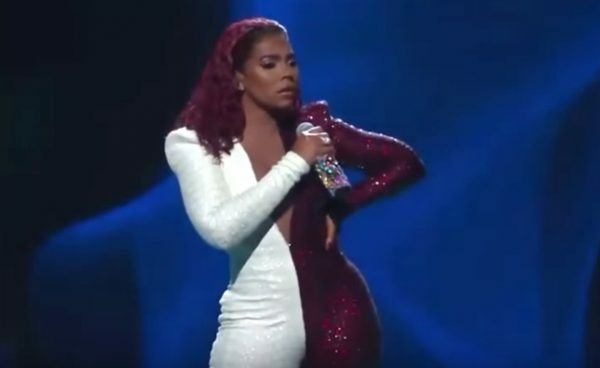 But Ashanti, your performance still feels like 2002. Real amateur vibes, almost 20 years later. U sound great, but the lights, the dancers, the outfit, the transitions, the whole production was so weeeeeak. I miss her epic doggy dance move from I got it!!! Ashanti is such a nice woman I got a chance to meet her during the Chapter II era actually her entire family was cool. But honestly this performance felt rushed and amateurish. Ashanti needs to revamp her entire situation if she expects to make any kind of comeback on the commercial level. Ashanti use to be my girl , I mean if she actually releases some music and stops stunting on snapchat then maybe I can rock with her again . She also needs to up her performance game . This was very much amateur night at the Apollo and I was NOT here for it . Her styling was horrible , her body is sick and that outfit did not flatter her , nor did that wet wave coming to America hair . She finished the song with that Acapella vocal as if she was really ‘doing something’ . No run, no riffs, it was just way too talent show for a seasoned performer . She really needs to invest in a creative director or performance coach or whatever . Like did she really finish that performance and feel proud ? I am so proud of her. I have only seen her in a music video. This was very good. I know all the words to every song! GOD AWFUL performance. she looks decent, but she appeared very pedestrian & amateurish on this particular stage. She’s not a good singer or performer. She’s been in the game too long to be so generic. I absolutely love Ashanti, she performed just as great as she looked.